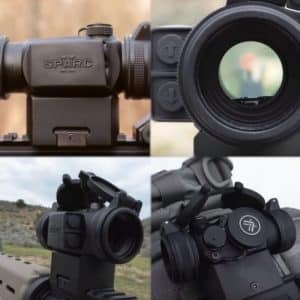 Vortex Spitfire 3x vs. Burris 332 Review - Best Comparison in 2019 April! 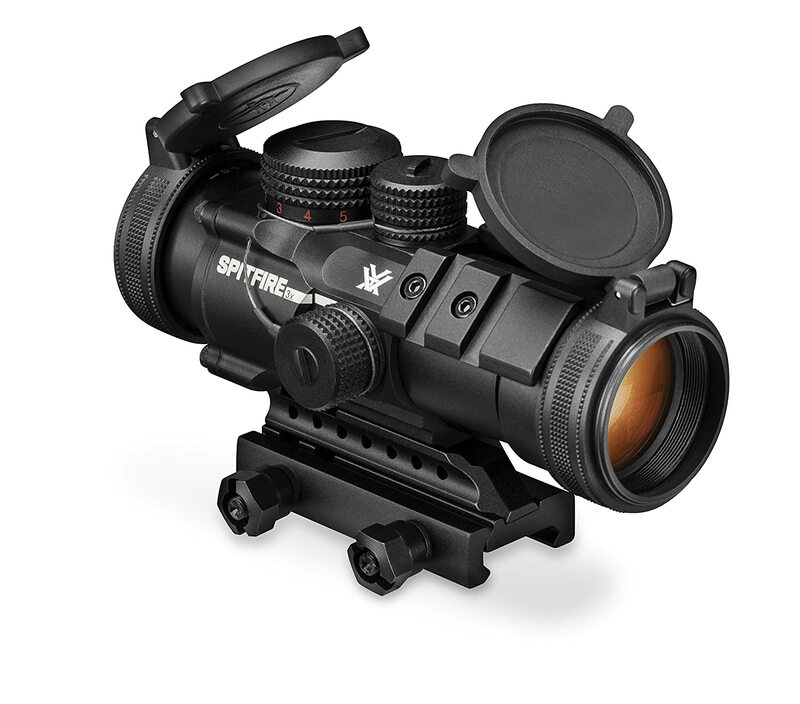 Vortex is an emerging leading light in the dark expanse of rifle scopes and weapon optics. Before Vortex came along scopes were segregated into expensive high quality to inexpensive low-quality products. 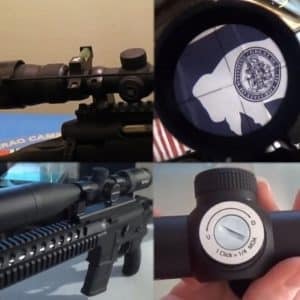 Vortex came along and upset this balance, creating a whole line of inexpensive, high-quality scopes using the latest fabrication technologies and materials. As such, comparing Vortex to all other scopes has become something of a national pastime, and comparing them in practice and in action is a great way to prove that sometimes brand names with high prices are just that, high priced brand names with nothing to back the price up with but a long time of relying on customer loyalty while screwing the customer for more money. So here goes, let us see if the less expensive Spitfire outperforms the more expensive AR-332. Burris is a solid market performer with a keen following and performance beyond reproach. Their products are great, and the AR-332 is a scope designed for tactical and competitive shooting. 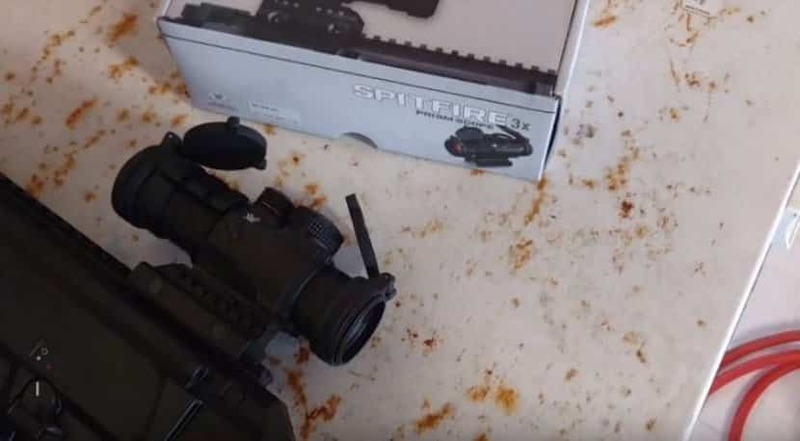 This model comes with the standard array of rotary power selectors and gives you a changing reticle color from red to green or black when the power is off. There are five brightness levels per color, and this model is powered by a CR2032 battery. The Ballistic CQ™ reticle gives you holdover dots that perform well up to 600 yards. The scope itself is mounted on Picatinny rails so you can mount in on most rifles together with other scopes. The Circular center is excellent for ultra-fast engagement at close distances, and the illuminated reticle reduces target acquisition time in any lighting condition. 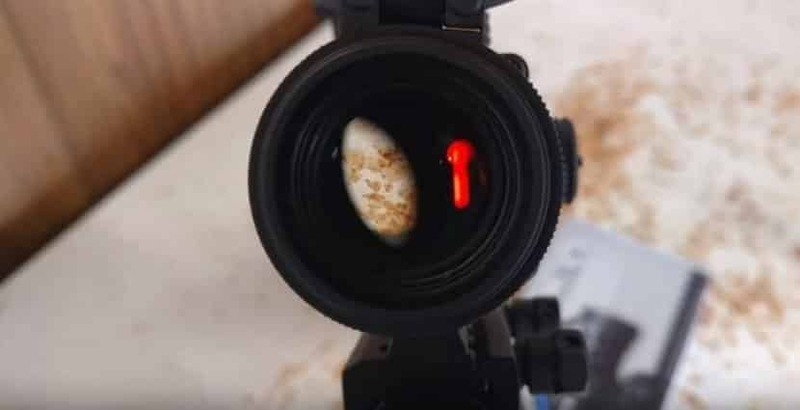 It also significantly increases accuracy when you are in darkness, and the powered off black reticle works exceptionally well when there is no power. Actually, this is an important feature, and the black reticle works perfectly without power. 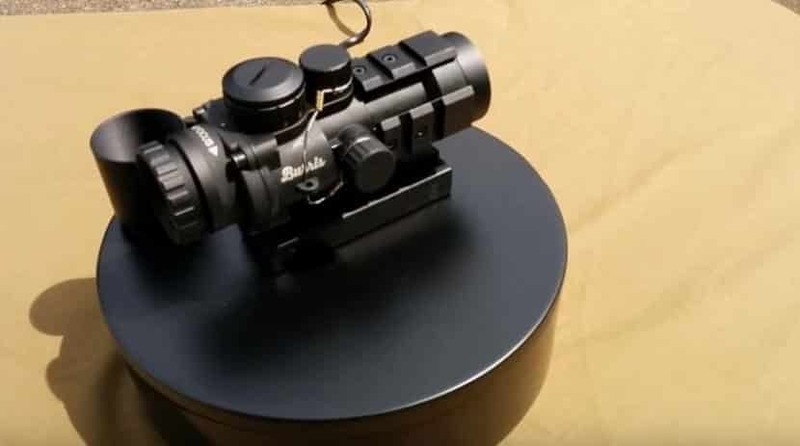 The 32 mm objective delivers bright, crisp images with the fixed 3x magnification, and makes using this prism scope as easy as using a red-dot, but with all the fun and features of a proper reticle scope. 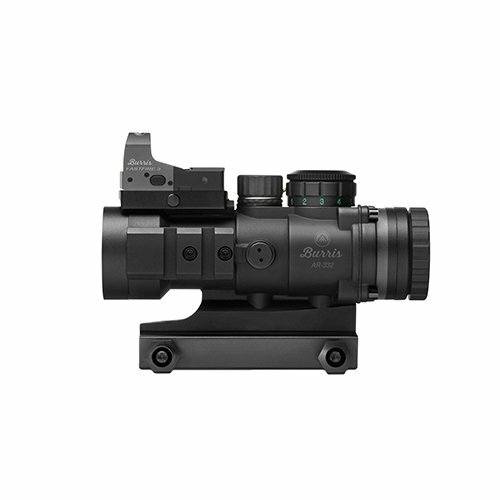 This model comes with Index-matched, Hi-Lume® multicoating optics, and the rugged aluminum alloy construction withstands recoil, abuse, and all weather conditions. The body is sealed providing a complete waterproof performance, and the internals is nitrogen purged for fog elimination. This model is compatible with the AR-QD™ Mount and comes with 3 Picatinny rail mounting points. The Spitfire™ 3X prism scope is built specifically for AR platforms and comes with the usual array of features that make Vortex a stand out brand. This model comes with the etched onto prism EBR-556B reticle that assures a consistent point-of-aim at all times with selectable red/green illumination. Each color provided with five brightness intensity levels to match all conditions. The scope is optimized for the standard .55 grain 5.56x45mm cartridge and has ranging marks for 0-500 yards which makes it efficient and effective in CQB environments and for medium range engagements. Since this is an edged reticle, even without power, you can still scope with excellent clarity and performance. 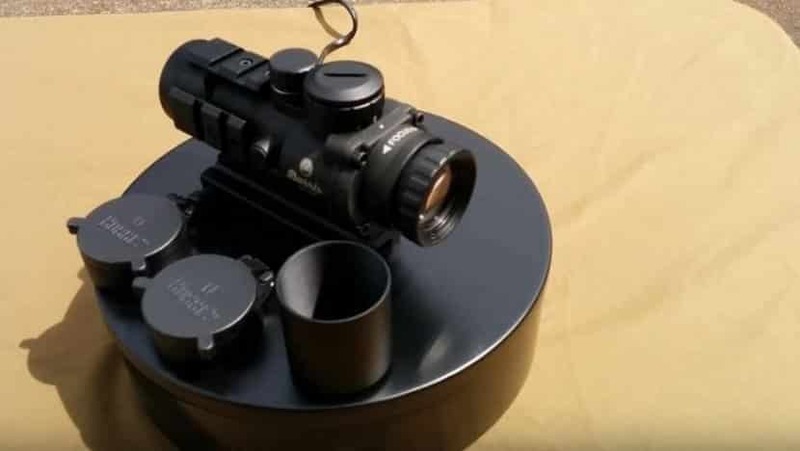 As with all Vortex models you get fully multi-coated optics on all air to surfaces, and in this prism model, you get an etched reticle on the prism for constant high-quality results. The body of this model is made from a single piece of machined aluminum alloy that is finished with a hard anodize coating in anti-reflective matte black. The tubes insides are nitrogen purged and come with O-ring seals to make this a waterproof and fogproof device. The rugged construction makes it extremely shockproof to recoil and other external impacts. What you get here is a red-dot style in simplicity with the performance of an etched reticle scope. 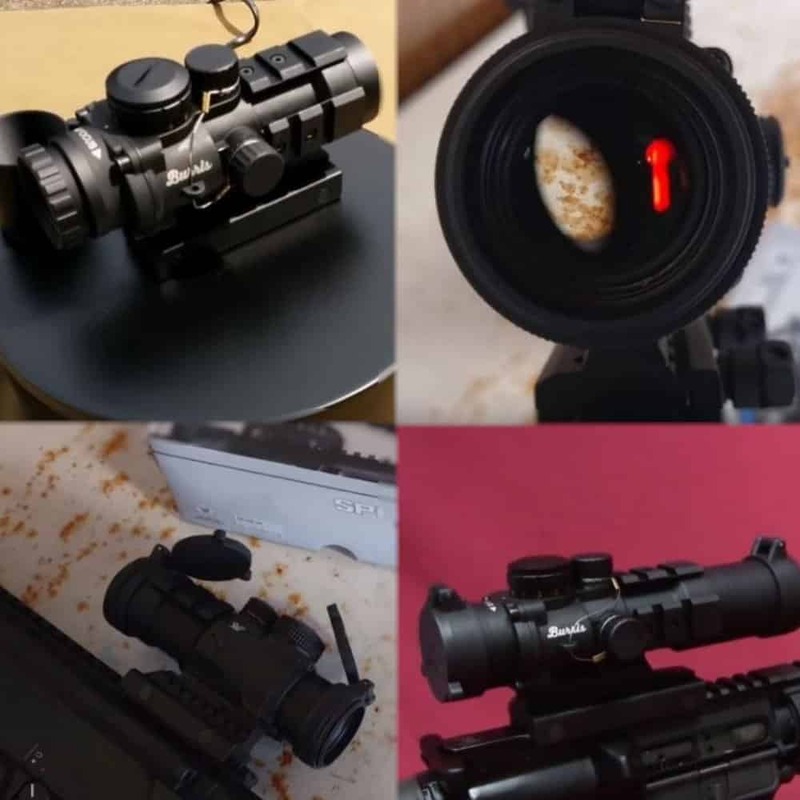 As such, you pay more for the prism scope design but get real money for value performance from a multi-colored reticle that works without power. Adjustable Brightness with five levels per color. Sometimes it’s hard to compare devices, only because they are so similar it seems like you are comparing twins, or in this case, identical models, or even the same model with variants. Battery Life 250 hours continuously on the maximum brightness setting and 3,000 hours on low. 250 hours continuously on the maximum brightness setting and 3,000 hours on low. A quick comparison of features before going out to test in the field revealed two similar devices. The Spitfire is a longer and heavier scope, that delivers exceptional performance and target acquisition with an etched reticle, so even when there is no power, you still get the same level of reticle quality. 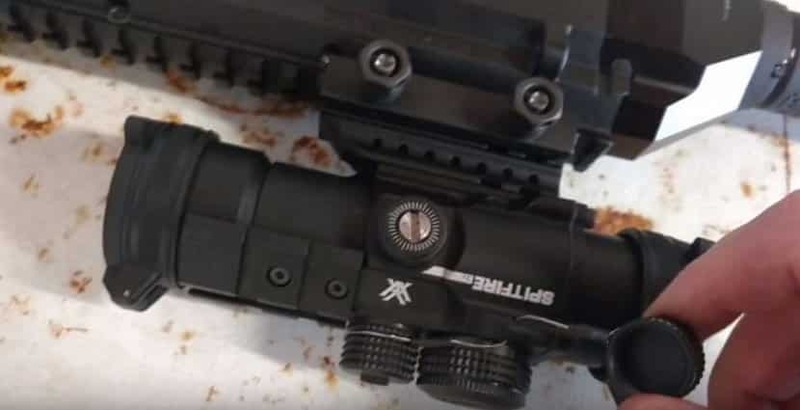 Against this, the Burris model comes with a non-illuminated black reticle, so it compares to the Vortex in performance with or without power. 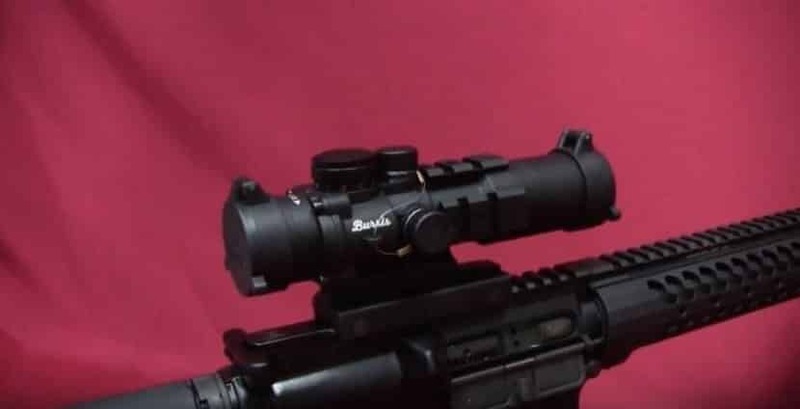 The Burris provides drop compensation markings for up to 600 yards compared to the 500 yards on the Vortex, and both give fixed 3x magnification. Both models give you rotary controls for 5 brightness levels per reticle color, a total of 10 settings for each scope. The quality of the lens coating is very similar, Burris has Hi-Lume, and Vortex uses a proprietary anti-glare and scratch resistant coating, both perform admirably well. The small details that make them different are the eye relief, FOV, dimensions, and weight. So let’s nitpick a bit. The Burris AR-332 has wider FOV, its 32 feet versus the Spitfires 31.5 feet, the eye relief on the Spitfire is 2.8 inches versus the 2.5 inches on the Burris, so that’s in favor of the Spitfire. Both models give you ½ MOA clicks, but the Burris only delivers an 80 MOA max elevation and windage while the Spitfire goes up to 120 MOA which is significant. On the dimension size, the Burris wins by 0.2 inches shorter than the Spitfires 5.5 inches and the bigger difference is in the Wight section, where the Burris is 1.42 ounces compared to the heavier (by 1.3 ounces) Spitfire. in the field shows two exceptional models that both acquire targets very fast, both allow for use with no battery, and both are equally rugged and easy to manage. The bottom line came down to overall performance and price, and in this case, overlooking the weight difference which is not important at this disparity, unless you’re a professional sniper, is in favor of the Vortex, but only because of the price. Essentially, both models performed with similar clarity, ease, and effectivity. The Vortex price is 20% lower than that of the Burris. If the Burris had delivered 20% better functionality and performance, I might have chosen as a more established brand, but when I am out in the field and need good performance as well as some change to buy gas, the Vortex is the obvious choice. To be honest that $50 difference is really nitpicking, and honestly, it comes down to personal or individual preference when faced with twins.